Heavy-duty connectors are used wherever there is a need for a secure, simple and time-saving assembly of machinery and facilities. 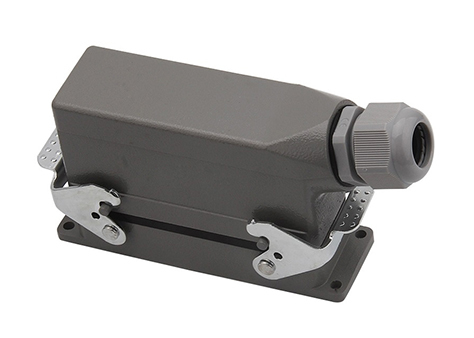 The connector housings are made of die-cast aluminum and offer excellent protection against dirt, moisture and mechanical stress. 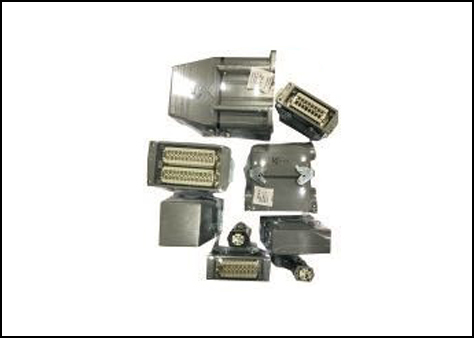 Special modular connectors make it possible to integrate signals, power supply, pneumatics, and data connections into a single connector. Product line defines new standards with it's comprehensive depth and width of its features. What other suppliers offer only as a custom configuration, Weidmuller supplies in its standard product line. As a result, selecting the proper connector is now easier than ever. You save both time and money and your work flow is optimized. Thus you can strengthen your position on the market and leverage your competitive advantage.